Today on SOTBNerdy, I had the chance to borrow from the Blerd talent well and recruit Maurice Valentino (you may know him from his work on TheDemoTape.com) to discuss one of his favorite modern series, My Hero Academia. Spoiler alert, as we're talking most of the anime as of today. Also, Mineta is trash. Just sayin'. This one is a must-read if you've been on the fence about checking out the rise of Deku and friends (or need a reminder of why you fell in love with the series in the first place). "PLUS ULTRA" is a lifestyle and movement all in one. My Hero Academia is a brilliant epoch that showcases what it truly means to be a hero. Post-Dragon Ball Super ending in March 2018, I felt a Death Ball level void in my anime watching soul. I found it fulfilling more than just a void when I found My Hero Academia as an anime with cataclysmic fights, a compelling story, rich dialogue, notable and well-placed character development, as well as fluid fight choreography and animation. As an African-American '90s baby who grew up on Toonami, I hail from the days of shows like Dragon Ball/Dragon Ball Z, YuYu Hakusho, Rurouni Kenshin, Tenchi, Sailor Moon, ZOIDS, IGPX, Code Geass, Fullmetal Alchemist Brotherhood, One Piece, Bleach, and Pokémon. I'm from the era of late 1990s-to-2000s classics. That said, I was compelled by exactly what I was looking for when DBS ended, or at least a modicum of the requirements. When I first started My Hero Academia in Summer 2018, I fell head over heels like I was blessed in once more experiencing the feeling of falling in love with anime for the first time. Not only does My Hero Academia score high marks on the criteria for a great new-age anime, but it has the potential to continue deserving critical acclaim, despite some of its faults. Japanese school children going through the motions, super-exaggerated, emotional reactions, “NANI?! ?” exclamations throughout superheroes vs supervillains classic troupe--it all seems normal, but the general format is freaked in the best way possible. The mangaka of MHA, Kohei Horikoshi, had two huge inspirations for the series come from Naruto and Spider-Man. Both protagonists from these series, and their respective entire character compositions, acknowledge the fact that the two may be the strongest and smartest of all characters in their respective series. However, they are the greatest because of their underdog disposition to never stop growing and doing the noble thing no matter how magnificent feats they continuously accomplish. Deku is a whiner who is nervous, swagless, and jittery as all hell. 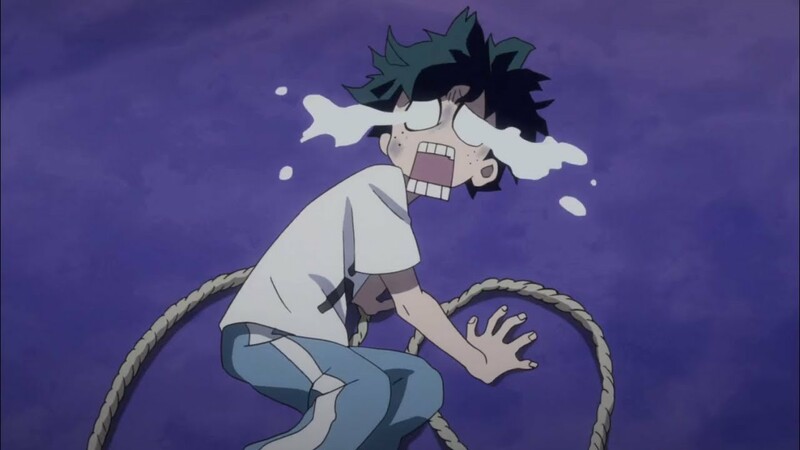 Deku is a boy scout with the most punchable face in anime ever. He is a Shonen protagonist that falls short of drip and brazen charisma in his typical interactions. However, these underdog qualities, couple the pure-hearted nimbleness, tenacity and extra clever sense of intuition of Deku is what draws All Might, you, and audiences across the world into an eyebrow-raising and jaw-dropping admiration of the series on many an episode--all in the same strikingly charismatic way that Naruto and Spider-Man delivered us when we were children. Deku is not the waviest nor the strongest, but he's a splendid hero regardless. There was another series with heroes that became wildly popular in the West a couple of years ago when it premiered--One-Punch Man (Ed. Note, we will be talking about OPM a bit more on SOTB as well, especially since Season Two just premiered). They too focused on heroes, but in a parody-like way with little room for the individual characters to show more than their stereotypical and static personalities. My Hero Academia, again, FREAKDT IT. You grow up with these kids (and their villainous counterparts), their understanding of the world, and empathy for their individual selfish motivations. You begin to admire Deku's cleverness. You root on Todoroki as he breaks free of all childhood insecurities. You start to take note of Bakugo transmuting into a young tactical battle genius. You watch as Tomura Shingakari removes his arrogance to become a more strategic supervillain and you stand slack-jawed at Stain's undying conviction with his fundamentalist anarchy, almost like a certain version of a certain Clown Prince of Crime. As Yiddish as many scenes are, with the school aspects and habitual anime happenings, viewers become as interest in the heroes, villains, and world of quirks like a light version of a Japanese DC/Marvel Comics universe. One thing that My Hero Academia masters is unfolding as one long epoch to see the greatest hero that ever lived. We watched Son Goku go from a rambunctious boy to a man who could go toe-to-toe with Gods and eventually rise to the same level as them. We watched Naruto go from not being able to conjure a single hand sign to becoming not just a splendid ninja, but the greatest Hokage of all-time who could box with God-level ninja blow for blow. We watched Al and Edward leave go through their entire odyssey until Father was vanquished and their lives were able to be lived to the fullest. Watching My Hero Academia, any viewer can easily become enthralled by the cast of Class 1-A and the surrounding cast in a tale spinning to be a surefire classic when all is said and United States of Smash'd. Both in the manga and anime, My Hero Academia has been able to deliver Monday morning public school lunch table debates and reenactments with its notable scenes. 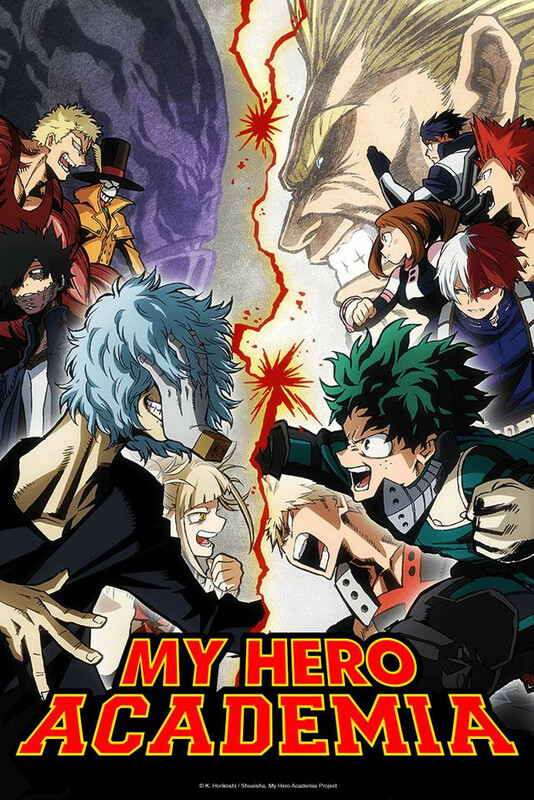 Examples include All Might enacting the definition of Plus Ultra as he knocked Nomu into submission with all that he had, his later jaw-dropping fight with All for One, Deku breaking both arms to defeat Muscle Man with 1,000,000% One for All, and Class 1-A's dynamic performance in the Hero Licensing Exam and more moments that make you want to stand-up and clap. My Hero Academia may not be everyone's cup of tea, but there are a multitude of reasons of why it deserves all of its current accolades and appraisals across the board. From anime veterans to new watchers, My Hero Academia has the makings to be a humble classic in the canonical history of top-tier anime years down the line.